Why do cell boosters need outdoor antennas? A typical outdoor cellular antenna. It’s my guess that roughly 90% of people could benefit from a cellular signal booster. I’ve read statistics that say 90% of people have some problem with cell service at some point, and that means 90% of people could use a cell booster, right? Yet, only about 1% of people actually use a cell booster. Why is that? It couldn’t be the cost. Yes it’s not a cheap piece of equipment but then… think about it. Think about what a cell phone costs. A typical cell booster costs somewhere about 1/4 to 1/3 what a top end cell phone costs. The booster won’t go obsolete in a year. It will work to make your existing phone work better, plus the phone you get next year. It will even make your friends’ phones work better. That’s worth a little bit of money. I think there’s a good reason people aren’t putting cell boosters in their homes. In order to get the best performance from a cell booster, you need to have that outdoor antenna up 15 feet. 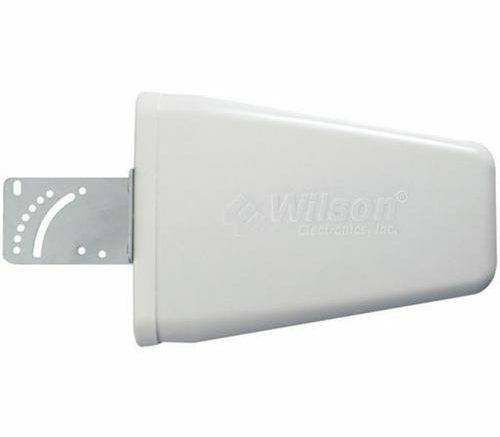 You should also have the indoor antenna 35-40 feet horizontally from the outdoor antenna. That ends up being a lot of wiring. It also means you’re pretty much guaranteed to go up on the roof. No one wants to go up on the roof. So how important is the outdoor antenna? There are cell boosters that don’t use an outdoor antenna. Our friends at weBoost had one a few years ago. The “eqo” as it was called was a cell booster where all the parts were designed to be inside. There was no outdoor antenna at all. It’s been discontinued, but the folks at SureCall still have their similar product, the EZ4G Generation 2. Indoor-only cell boosters are certainly better than nothing, but people found that they just weren’t as powerful as you’d want them to be. In order to keep everything indoors, the power level needs to be fairly low. If the signal from one antenna reaches the other, a feedback loop called “oscillation” starts. This builds up to the point where it can be dangerous to the equipment. In order to keep oscillation away, indoor-only cell boosters tend to be weaker. Plus, they tend to automatically cut the power if even the slightest hint of oscillation starts to happen. So yeah, you need an outdoor antenna. I get it. No one wants to climb up on the roof to put that big outdoor antenna up there. In the winter it can be especially treacherous. But it’s a very small sacrifice to make for getting fantastic cell service year round. Check out the great selection of cellular signal boosters now at SolidSignal.com. Does an expensive phone mean you’ll get better cell service? Time to move to an IP remote?